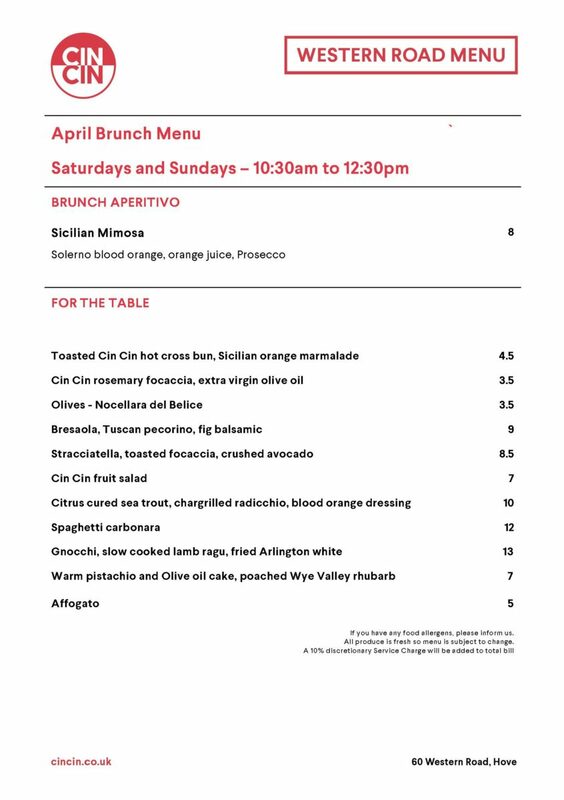 New brunch menu at Cin Cin Hove! We are now serving BRUNCH every Saturday and Sunday from 10:30am at our Hove restaurant. Join us for our Italian take on brunch classics like handmade hot cross buns with Sicilian marmalade and smashed avocado with Stracciatella on toasted focaccia. All washed down with one of our Mimosas featuring Solerno blood orange! And if you fancy something a little more filling, try our Gnocchi with slow cooked lamb ragu topped with a fried Arlington White egg or our signature Spaghetti Carbonara. This Easter weekend, we’ve got you covered at both of our Brighton and Hove restaurants. 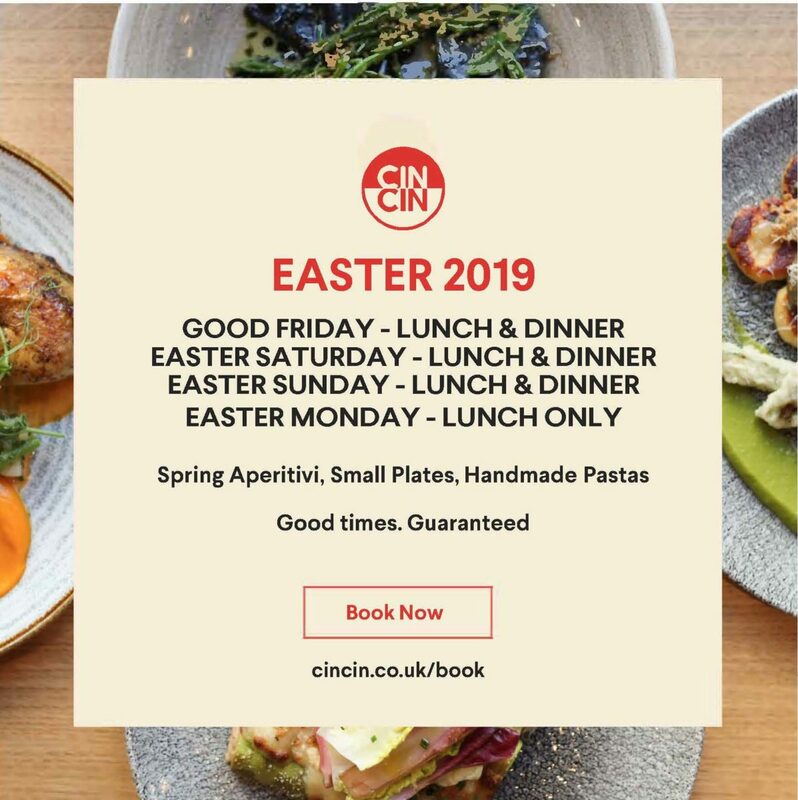 Join us for Spring Aperitivi, Small Plates and Handmade Pastas – Good Times, Guaranteed! Leave us a review on Google and receive 5% off your next visit.